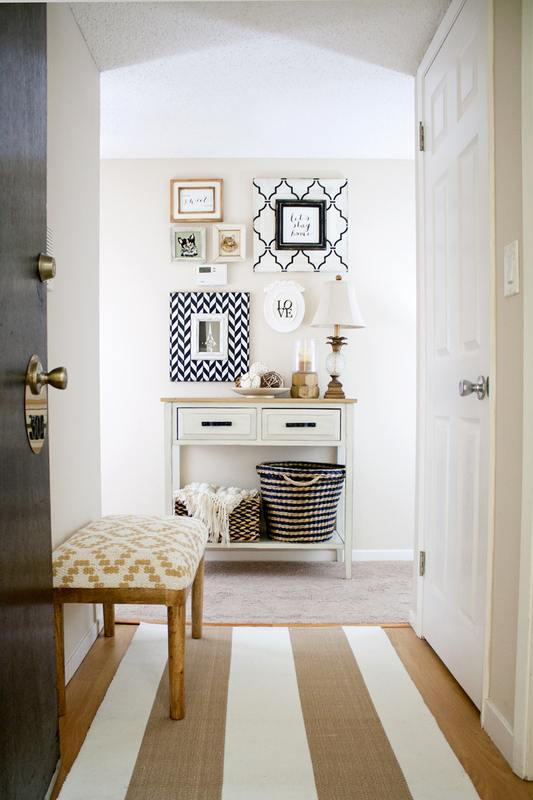 The entryway, to me, is the most important part of a home. It is the first thing anyone sees and I am a firm believer in making a great first impression. But until I live in a real house with a real front door with a light filled entryway, this will do for now. My apartment gets great light everywhere BUT the entryway, so I do my best to make it as welcoming as possible! 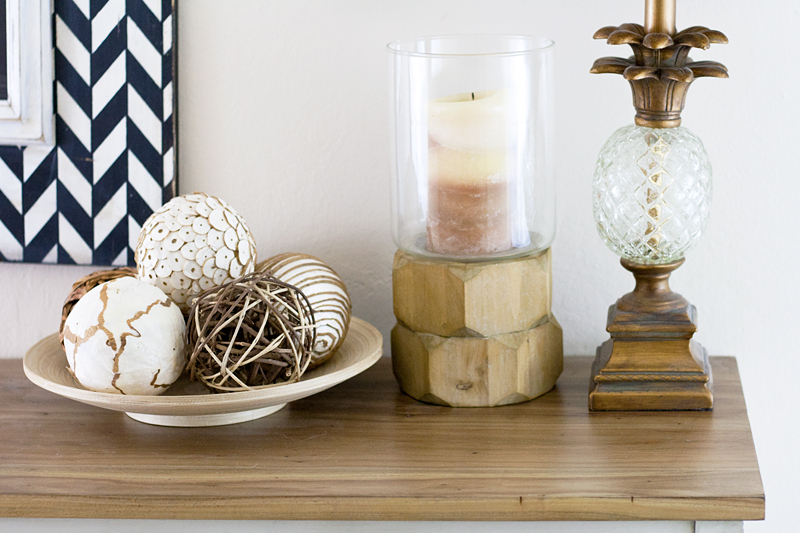 I love my console table, it is sleek and modern with a touch of vintage which is a style I can't seem to let go of. 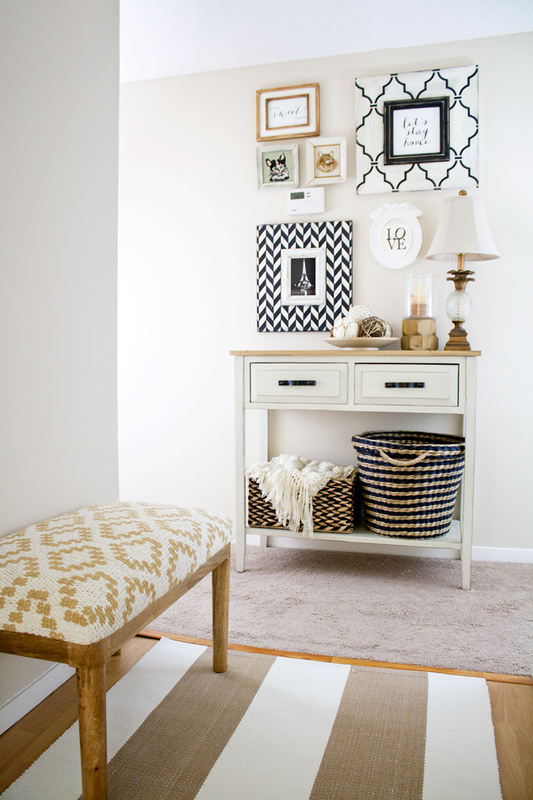 I styled it with a lovely woven bench and a classic striped rug. As for my gallery wall, I kept it rather simple... a couple of vintage cat embroidered art, some typography prints, and two incredible handpainted wooden frames by Delta Girl Frames. I especially love the herringbone one with a photo of me and my fiancé in front of the Eiffel Tower (my favorite photo of us)! Anyways, are you surprised that there are two home decor posts in a row? That's right! I am really trying to get the ball rolling considering how I've been at my new place for 7 months now! More coming soon! And to recap... check out Part 1, Part 2, and Part 3 of my apartment tour! Carol console table c/o Safavieh. Khaki and white striped rug c/o Dash & Albert. 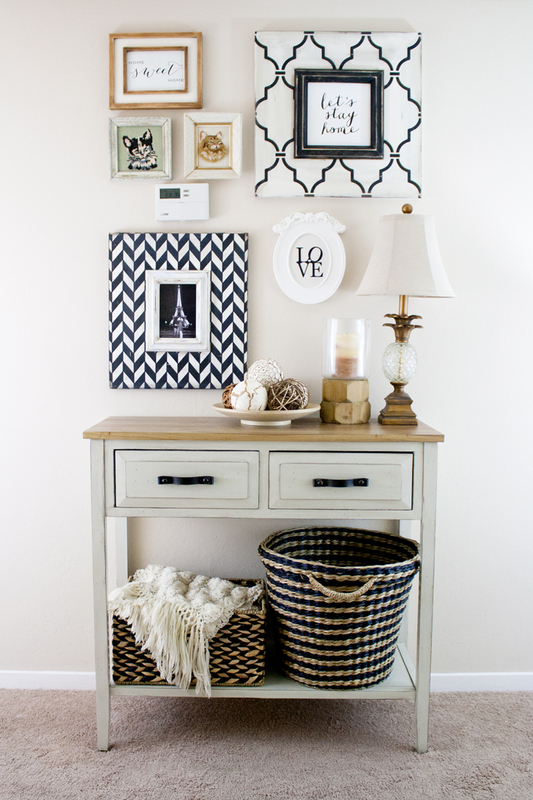 Trellis white and black wooden frame c/o Delta Girl Frames. 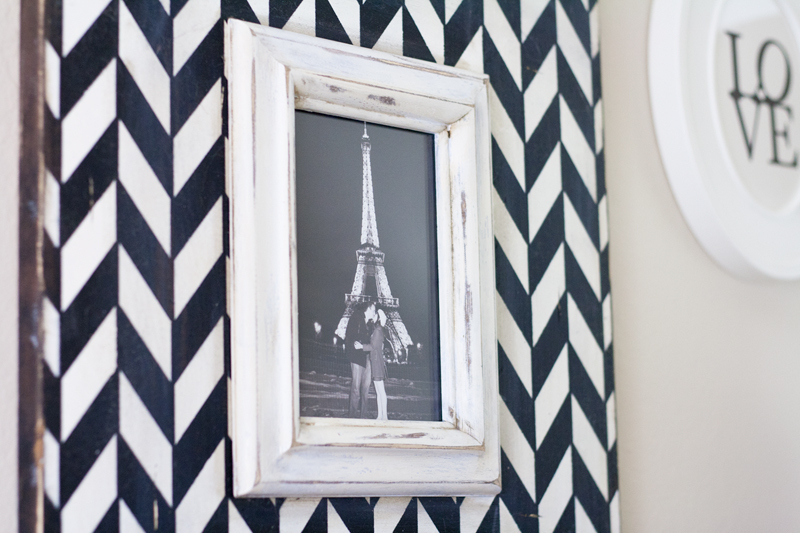 Herrington black and white wooden frame c/o Delta Girl Frames. Mahari candleholder c/o Lulu & Georgia. 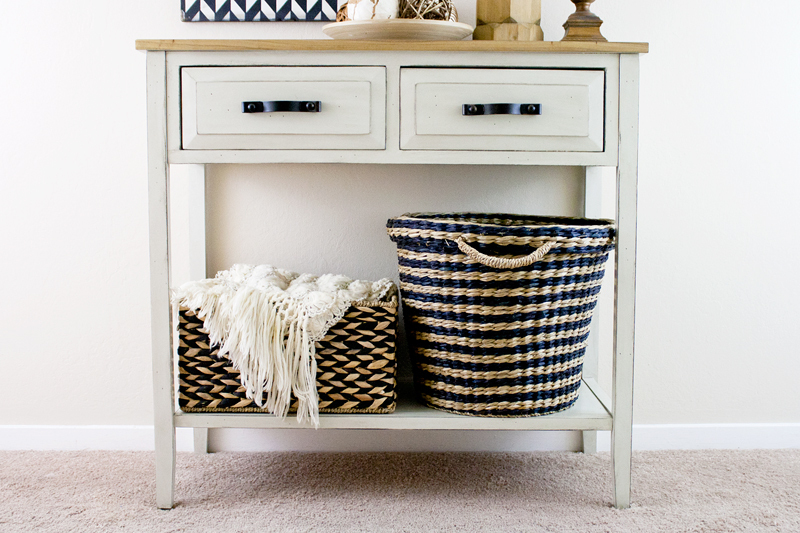 Rectangular woven basket from Home Goods. Round woven basket from Ikea. i still don't see where that beautiful honeycomb shelf is from?! !